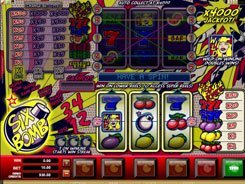 Classical fruit machines that imitate mechanical slots stay immensely popular with slot veterans. 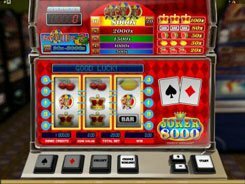 Besides, 3-reel slots are appealing to first-time gamblers thanks to easy rules and user-friendly betting options. 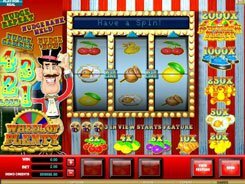 Fruit Bingo from Microgaming is a typical Vegas-style machine with a single payline and old-school fruit symbols including plums, cherries, watermelons, oranges and stars. 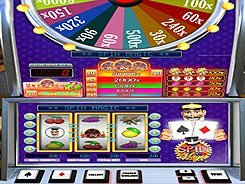 A coin denomination comes in a range of $0.1 to $10, with only one coin accepted per spin. 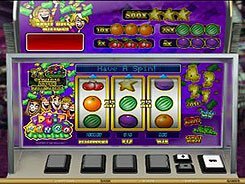 Payouts are granted for matching 3 symbols on the payline, with the jackpot amounting to x500 times a bet. 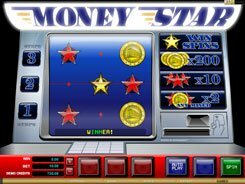 So if hitting three stars across the line, you may win $5000 if you bet max. Each reel has a blue pointer above that can be clicked to create a winning combination. 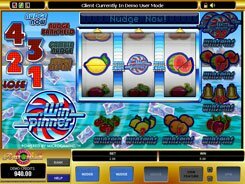 Fruit Bingo boasts a rich bonus package that includes Hold, Nudge, Shifta and an optional gamble round giving you the opportunity to increase your award x2 or x4 times after a winning spin. PLAY FOR REAL MONEY!